A few weeks ago I published a brief article on the basics 3D audio simulation in stereo headphones, and now out comes news that the minds at Hong Kong-based LEAR have been tuned to a similar frequency, working on a way to create a more natural stereo audio effect in headphones in order to simulate what we hear from a pair of a properly-positioned loudspeakers. LEAR is calling their technology NSS – Natural Stereo Sound – and the first model utilizing it, the NSS-U1, is currently being crowdfunded via pre-order (details can be found at http://nss.lear-audio.hk). The NSS-U1 is an all-new universal-fit IEM developed for the NSS technology. At its most basic, NSS is intended to add a more natural stereo sound effect to a headphone or earphone – after all, when we hear a sound out in nature, or even played back via stereo loudspeakers, the sound waves that enter the left and right ear are never completely independent of each other as they can be with headphones. Much of the sound played via the left loudspeaker enters the right ear, and vice versa, in a very consistent but complex way. How this sound is modified on its way around the head and to each ear drum is characterized by the Head-Related Transfer Function (HRTF). This is a big part of the thought process behind NSS (I’ve attempted to provide a more detailed explanation of the theory in the What is NSS? section below for those interested). In the case of the NSS-U1, NSS is implemented by having two (dynamic) drivers per earpiece. One of the drivers handles the main audio channel while the other is responsible solely for delivering the NSS effect (there is no crossover in the traditional sense as both drivers handle all frequencies). This means that by disabling the NSS driver, the NSS-U1 can become a “normal”, albeit single-driver, earphone. To this end, LEAR is planning to place an NSS on/off switch at the y-split of the earphones (see image above) for users to swap between the dual-driver, NSS-enabled mode and the single-driver “regular IEM” mode at will. This is handy not only for comparing the sound with and without the technology, but also for listening to binaural recordings, which already have all of the HRTF positioning information built in. 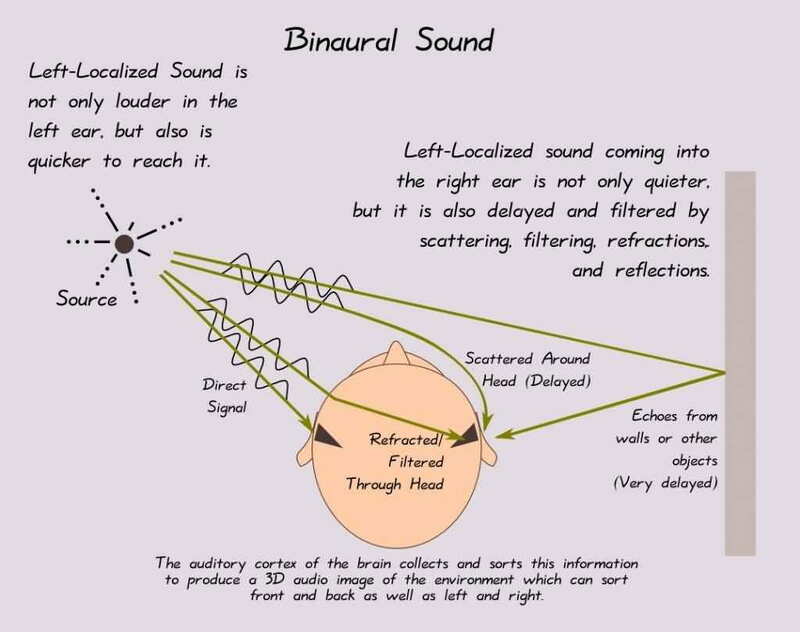 Listening to binaural recordings with NSS enabled will be redundant and probably even detrimental, essentially adding one set of positional information on top of another (more on this in the NSS tech section below). Naturally, a standard audio cable doesn’t have the ability to interact with individual drivers, so the NSS-U1 uses a proprietary 4-pin connector at the earpieces (much like with the JH Audio Roxanne, which has a cable-mounted bass adjuster). Because LEAR has made this cables detachable, it is possible to replace the NSS cable with another that instead has a crossover circuit, turning the U1 into a conventional dual-driver earphone. Different cables can contain different crossovers, further modifying the sound, and it seems like this scheme may be applied across more LEAR products in the future, perhaps even customs – if the crowdfunding campaign is successful, of course. LEAR’s NSS technology makes earphones simulate the loudspeakers’ natural hearing experience. With NSS, users can experience a natural front audio image with current audio files, without any additional plug-ins or external power! 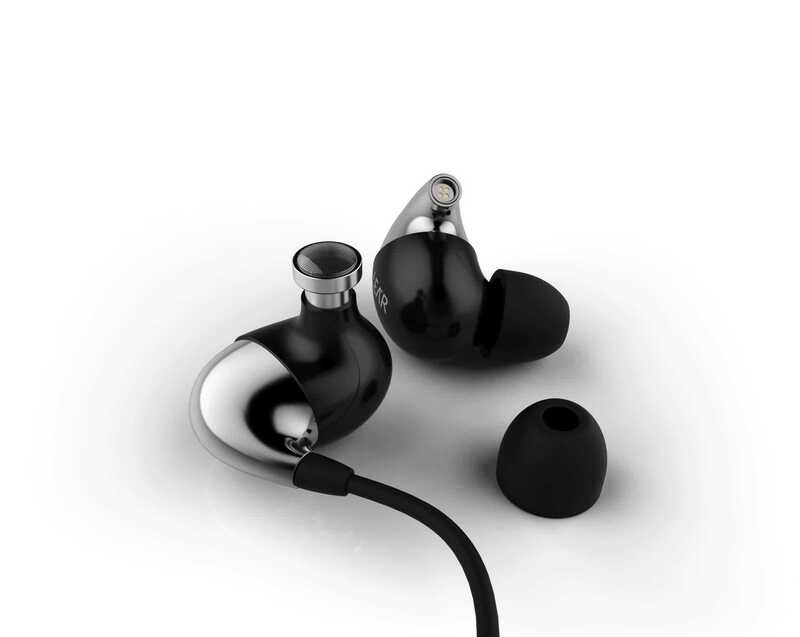 […] LEAR’s NSS technology is the world’s first acoustical HRTF simulation earphones technology. Humans locate sound sources in three-dimensional space based on two factors. The first is the time differential between when sound waves arrive at the left and right ears – for instance, sound generated by a source located in front of you and to the left will reach your left ear slightly earlier than your right (it will sound slightly louder at the left ear as well). The second is the way the sound is shaped by our inner/outer ear, head, and face anatomy. Two identical sound waves originating from two slightly different points in space will be modified differently by the pinna and ear canal on their way to the eardrum. How sound entering the ear from a specific direction is modified by the listener’s anatomy before it reaches the eardrum is characterized by the Head-Related Transfer Function (HRTF). Binaural sound is a term for stereo audio recordings that utilize the above factors to relay an immersive, three-dimensional sound experience in a rather convincing way over headphones – just the sort of thing you need when using a VR setup. Purpose-made binaural recordings are done with mics mounted inside the ears of a dummy head that is then immersed in the sound field being recorded. In order to correctly approximate the HRTF, the dummy should be a realistic mold of the average human head. In-ear microphones can also be worn by a performer or audience member, in effect replacing the dummy head with the wearer’s real head. There are even in-ear earphones with built-in binaural microphones on the market, like this rather inexpensive solution. Obtaining true binaural recordings for VR applications – let’s say a movie of video game soundtrack – is highly impractical, but what if we could approximate the binaural recording by putting a virtual head in a virtual room? Let’s say this imaginary room has a 5.1 channel surround sound setup – most movies and many games already have 5.1 soundtracks. Using this 5.1 soundtrack and our virtual head in concert with an HRTF, we can approximate binaural sound in order to convey a 3D sound experience over regular stereo headphones. The headphones in my 3D audio article are attempting to recreate 5.1 (or even 11.2) surround sound over headphones, which is why the software is virtualizing a surround sound system in a room. NSS is doing the same for a simple 2-channel loudpseaker system correctly positioned before the listener but, in contrast to the software-based solutions I discussed in my 3D audio article, NSS is a self-contained piece of hardware – there is no external power needed, no software, and full independence of the audio source. This is also why NSS needs to be disabled when listening to binaural records – proper binaural recordings already include the HRTF information that NSS is attempting to add, and doubling the effect won’t do the sound any favors. The exact components of LEAR’s solution are unclear, but there is a rather complex sound tube network for the NSS drivers visible on the breakdowns of the NSS-U1, which is most likely used to introduce the time delay and level difference components (see image above) on top of some type of crossfeed to help localize sounds in accordance with the HRTF. There’s likely more to it than that, but this alone makes me want to try the NSS-U1. It also seems that if this crowdfunding campaign is successful, LEAR has plans to integrate NSS technology with other models in their lineup, likely with the same cable-based scheme that allows users to switch between an NSS-enabled cable (where the NSS driver or drivers can always be turned off) and one that has a conventional crossover. LEAR has never been “just another” headphone company – just look at the bonkers dual-dynamic/quad-armature BD4.2 hybrid, the customizable LUF-4 universals, and the impedance-boosting, sound-modifying adapter option of the LCM-5. So, while I’m not one to judge a concept based on theory, I understand enough of the thinking behind the NSS-U1 to be excited to try it. I would love to see the 500k HKD level funded so we can see where it goes – perhaps it will spawn a competitor for the “best overall soundstage” title alongside the ADEL A12, or perhaps we’ll just get a unique$200 universal-fit IEM with a very interesting tuning potential. Hiya Joker, any idea when these are giong to be released? In other news, I picked up the a 73 and I am really impressed with the sound .Have you had a chance to audition these? I haven’t seen any updates on this. Actually about the only thing I’ve heard about LEAR recently has to do with some of their DIY repair/recabling/reshelling services. Fidue A73? I think I have one, need to double-check. Still working on a review of their A71. For some time now, I am thinking of buying the Vsonic GR06 Bass Edition. I know that typically LEAR is know for their excellent IEMS. How would the LEAR compare to the GR07 in terms of sound quality? Will it most likely be even better than the GR07, or are they two different IEMs alltogether? What is your take on this? It might be a somewhat strange question, but I don’t have the budget to buy the two of them.. And I must say that I am intrigued by the LEAR NSS-U1. These have not yet been manufactured so I don’t know how they sound or how they compare to existing IEMs at this point (as far as I know noone does except maybe the folks at LEAR who have the prototypes). If you’re in HK you can listen earphones in lear shop, by the way , prototypes was been in Singapore IT Show. Many ppls who had listened, had backed project. Between ADEL and this, it looks more and more like earphone makers are trying to seriously advance IEM design for little money. (The lowest priced ADEL earphone was only $100 on Kickstarter.) Considering that this uses a 2nd driver and ADEL uses a membrane…how similar do you think the two concepts are? Yeah, it’s always good to see innovation beyond the cycle of more drivers… more crossovers… fixing issues caused by those drivers and crossovers… repeat. The concepts are really quite different between ADEL and NSS – the innovation in both stems from entirely different sets of research and theories. The base concept behind NSS is quite well-understood and commonly accepted. Binaural recordings have been around for ages, as have crossfeed effects. It’s just that I don’t think anyone has ever tried to take it one step further by introducing the time delay (and whatever other undisclosed components are going into LEAR’s solution) in an effort to really try and replicate a more loudspeaker-like sound in the ear. The ADEL tech is quite different, but perhaps more significant is that there the sonic improvement is not the sole purpose, as with NSS, but rather a side effect of sorts of resolving the primary problem of pneumatic pressures at the ear drum. It seems like either of these solutions has the ability to offer a better audio experience, but the primary tuning of the earphone or headphone that implements either of the solutions is still going to be of the utmost importance. I think that’s why the A12 is so impressive – it would have been a top-tier CIEM regardless, so the potential for the ADEL tech to introduce an improvement in soundstaging on top of that made for a superb experience. I’m glad you covered this ljokerl. Thanks for the write-up. I hope it sounds “natural”, which is the major drawback to software alternatives (IME). Will Lear be sending you a sample soon? Lol. Second sentence of my comment isn’t phrased well. But, I think you get the point. Yeah, I hope so too. It sounds like LEAR is pretty confident in it, making it easy to A:B the NSS on/NSS off states and all. By the way, you can get a semblance of a preview in the video they posted: https://www.youtube.com/watch?v=eNYQWvuhPWU (there’s English subtitles). Hopefully it will get funded and I’ll get to try it out!